Recently teens Project World School co-founder Miro Siegel and intern Katie Mitchel sat down with Anna Brix Thomson & Joao Jesus from the show Redefining Education – Live Conversations with Real People on the Future of Education. 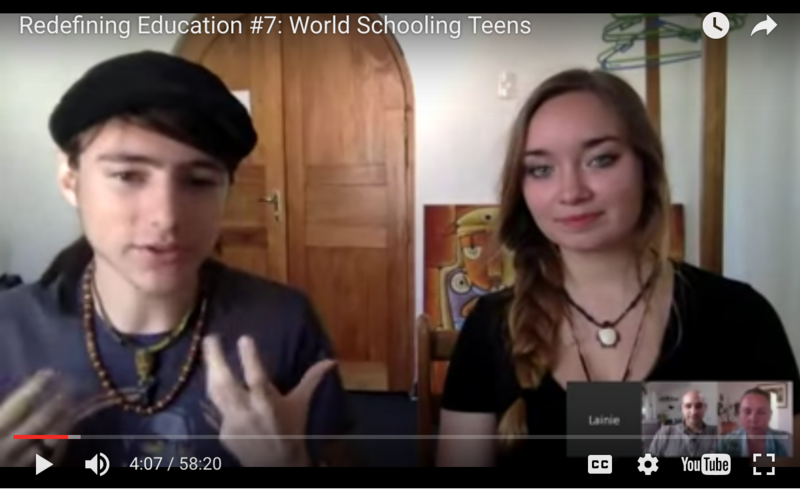 In this episode of Redefining Education – Live Conversations with Real People on the Future of Education, we speak with teens Miro Siegel and Katie Mitchell about what it is like to world school and unschool as a teenager, to not go to high school but to instead travel and discover the world directly. We speak with them about the future and what they see that they are getting out of their unique form of education, that those in more traditional school forms are not getting.